Thanks to the Wii U, Nintendo's in a rough position with shareholders. They're looking for President Satoru Iwata to step down, which he won't, and they're looking for short term fixes, which Nintendo might not be keen on. One of these fixes? Putting Nintendo games on mobile devices. Iwata and the core deciding body at Nintendo won't have any of that. Here he is speaking in a news conference last Friday, as translated by The Wall Street Journal. "The spread of smart devices does not spell the end of game consoles. 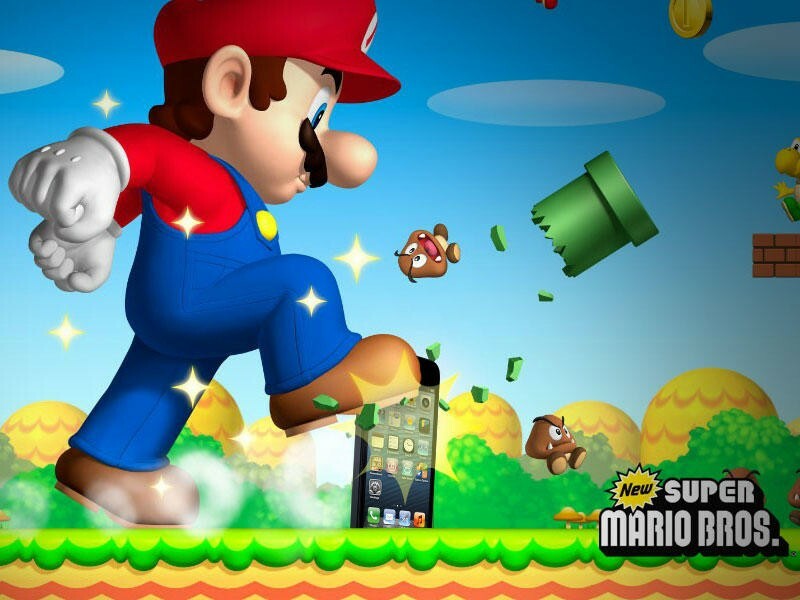 It's not that simple…It doesn't mean that we should put Mario on smartphones." What do we think? Good. I've personally expanded on this in editorial form more than two years ago when everyone was telling us how dead the Nintendo 3DS was (ha, remember those days?). First of all, Nintendo won't sink as a company due to the Wii U. Even if it stops selling units today, this very minute, Nintendo has enough money from the success of the Wii, DS and 3DS to take another crack at the home market. This is a company that's only posted a loss in three years over the course of its existence since 1889. Second, the difference in quality and caliber of games between smartphones and systems like the Nintendo 3DS and PS Vita is enormous. Would Nintendo make money on Mario in the short term on phones? Sure, sell it for $2 and update it with in-app purchases and they'll be good… for a year or so. Then what? Do another? Go free-to-play? The fact of the matter is that releasing Mario on smartphones means that consumers no longer need Nintendo hardware to play Nintendo software. They'd literally be killing demand for a good chunk of their business model by putting games out on phones. It just doesn't make sense for the company to do it. As someone who loves traditional gaming platforms and isn't a fan of mobile game pricing and free-to-play attitudes, I'd rather Nintendo sell niche hardware than try putting their games on mobile marketplaces.